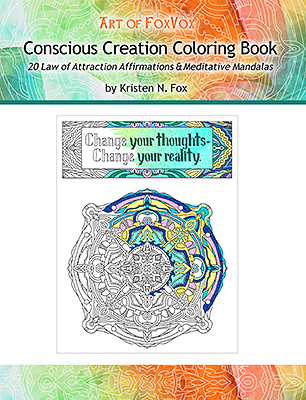 We’ve just published our very own Conscious Creation Adult Coloring Book – 20 Law of Attraction Affirmations and Meditative Mandalas to color any way you want! The affirmations are hand-lettered at the top of the page, surrounded by a border, and then there is a coordinating mandala underneath, like the example on the front of the book, to the right. So, if you’re inclined, you can meditate on the affirmation while you color the mandalas. In between each of the affirmation/mandala pages is a lined page (with a border you can color) – I added these pages because a lot of ideas and thoughts and inspirations came up while I was creating the art, and I thought it would be great to have a convenient place to write down these insights without having to open another notebook or scrap of paper, etc. 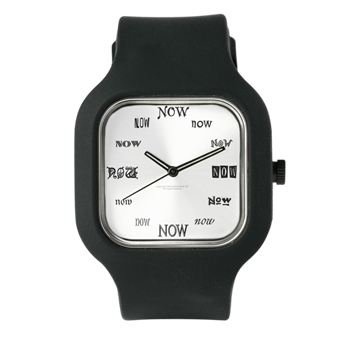 What you like about the affirmation, what you don’t, how you are responding to it emotionally, or even just tangential ideas that come up during the process. The coloring book is about 40 pages, and each page is one-sided for neater coloring. And it’s just fine for kids too.